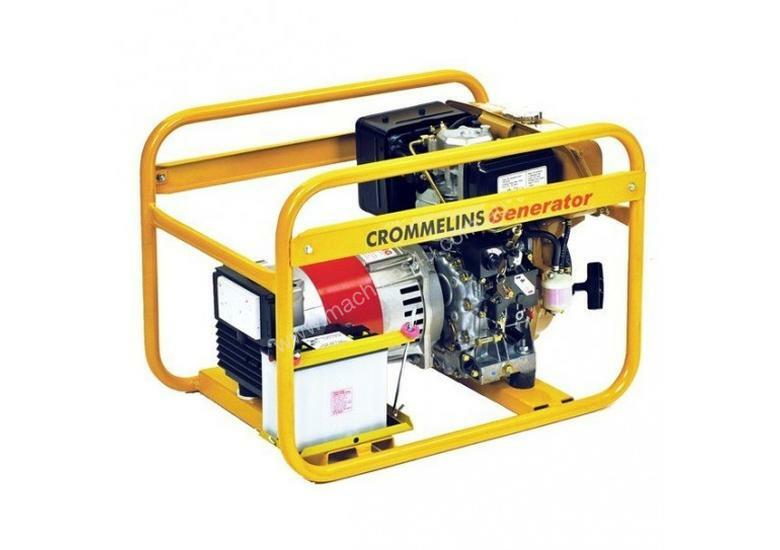 Crommelins Powered by Subaru 3.2kVA Diesel gensetBuilt for the unique demands of the mining, construction and hire industries, this Suburu diesel generator works hard so you dont have to.Providing a low maintenance long life powerhouse, the high torque generator is specifically designed and constructed to work in rough conditions required by Australian mining and construction industries.It features a robust heavy duty steel frame which is compact and easy to handle. It provides an easy electric starter for smooth running and brushless alternator to eliminate the need for brush maintenance. With a maximum output of 2560 watts, the 3.2 litre fuel tank provides 2.7 hours of power for your working needs.Backed by a three-year warranty, this generator is a great all-round package.Diesel GeneratorsDiesel Generators are well known for typically lasting longer than their Petrol counterparts and are considered more fuel efficient. Diesel Generators normally run at lower RPM and produce more torque at lower speeds thus increasing engine life and lowering noise.Due to the fuel type, Diesel Generators are considered safer than Petrol Generators and may be a prerequisite on some job sites.RRP: $3,439Save $231 (6.3%) off RRPOutput Watts2560w (max)Alternator TypeSincro, BrushlessEngineSubaru DY27Starting MethodElectricFuel Tank Capacity3.2LCont. Working Time2.7hrNoise 7m76dbProduct Dimensions (mm) LxWxH710x450x530Net Weight (kg)75.0 KgFuelDieselRated Power Factor0.8HP5.4NOTEThis is a portable air-cooled petrol generator designed for short term/standby applications. For prime/continuous power, a stationary water-cooled diesel generator is recommended.